Two weeks before the opening of the UN’s Paris Conference, not a day goes by without some new study trumpeting the end of the world. Yet contrary to what many seem to believe, the mainstream of scientific opinion, as represented by the IPCC itself, is not an alarmist position. Climate change is important, according to this august body, but catastrophe is not lying in wait for us around the next corner. We might therefore want to think twice before bankrupting ourselves in our efforts to reduce its impacts. Richard Tol, professor at the University of Sussex and a lead contributor to the IPCC’s Fifth Assessment Report, works on measuring the costs and benefits of climate change over the long term. His conclusion, which is in agreement with the recent studies addressing this question, is that the net effects of 1°C to 2°C of warming would probably be positive. This is due in part to the fact that a higher concentration of CO2 in the atmosphere reduces the water requirements of plants, thereby allowing for faster growth and increased crop yields. Another benefit is reduced heating costs in the winter. And even more important are reduced cold-related health problems, which entail 17 times more deaths than heat-related health problems. Warming in excess of 2°C, though, will probably have negative net effects according to the IPCC, including a non-zero chance of climate-related catastrophe. This can justify some measures to reduce greenhouse gas (GHG) emissions, which is what the Paris Conference is all about. What it cannot do is justify any and all such measures, whatever the cost. Yet there are plenty of those around. Subsidizing the purchase of electric vehicles, for instance, as Quebec has been doing to the tune of thousands of dollars per car, is a very expensive (and therefore inefficient) way of reducing GHG emissions. Norway is the country at the forefront of the electrification of transportation, with around 75,000 electric vehicles on the road. But each tonne of GHGs avoided in this way costs $6,925 in various subsidies—not including the GHGs emitted during the manufacture of the battery. This is compared to a cost of $10.39 for one tonne of GHGs on the European carbon market. Renewable energy subsidies are also among the most expensive ways of reducing GHG emissions, with significant economic and social consequences, as Ontarians are discovering. By raising the costs of electricity for the consumers who finance them, these subsidies generate energy poverty among the most vulnerable households. They also hurt the competitiveness of companies that see their rates go up. The European experience is telling, as several countries have had to rethink the subsidies they give out to producers of renewable energy. The addition of biofuels like ethanol to gasoline is mandated by federal regulation in Canada. 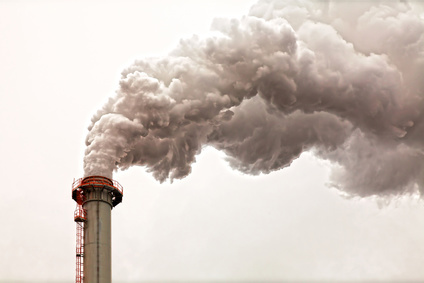 Its production is very harmful, however, both economically and environmentally, and it does not provide any notable benefits in terms of reducing GHG emissions. And because a significant amount of it is made from cultivated grains, it leads to price increases for basic foodstuffs on global markets, entailing negative financial and human consequences for the poorest populations. These policies survive because in the current climate change frenzy, it would be politically incorrect to abolish them. Yet if we are to have a sane discussion about what is worth doing, we need to consider the very different relative costs of different mitigation efforts. We also need to be realistic about what benefits these efforts will bring. It should not be assumed, for starters, that fighting climate change will stop all undesirable weather phenomena. For example, according to the IPCC’s Fifth Assessment Report, studies on extreme hurricane winds in the United States and the Caribbean, on tornados in the United States, and on storm winds in Europe have failed to establish a link with anthropogenic climate change. In any case, the frequency and intensity of extreme weather events are not the only factors that determine the severity of their impacts. In fact, that severity is inversely related to a society’s level of economic development. This is why, from 1970 to 2008, over 95% of deaths related to natural disasters were in developing countries. Thankfully, since the 1920s, the world has gotten a lot richer, and the global mortality rate from extreme weather events has fallen by 98%. Clearly, human vulnerability is less due to climate than to economic conditions. The economic growth that raises living standards allows us to better adapt to climate change. Life expectancy has also risen substantially over the past century. Indeed, the overall health of the human population has improved, many previously fatal diseases are now treated more effectively or have been eradicated, and infant mortality has fallen sharply. These notable changes reflect reductions in hunger, malnutrition and poverty, thanks to a widespread improvement in economic living conditions. Renowned author Indur M. Goklany, who worked at the IPCC and contributed to its First Assessment Report among other things, shows that these tremendous developments are closely linked to the living standards made possible by the use of fossil fuels and by the impressive technological progress of the past century. As they seek to avert future catastrophes related to excessive global warming, the nations of the world should avoid the kinds of policies that reduce living standards and lead to immediate catastrophes. Youri Chassin is Economist and Research Director at the Montreal Economic Institute. The views reflected in this op-ed are his own.